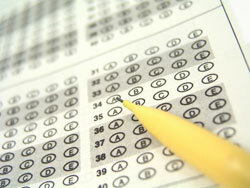 Is there a misuse of Psychometric Testing? I remember when I did my degree the very first thing we did was questions selection methods, with psychometric testing scoring one of the lowest in validity 0.2. In the first part of my career I could see managers wanted a crutch, which said “yes” you made the right decision. Recently there has been a shift that disturbed me. The person in charge of the performance process had positioned a psychometric tool as 100% reliable and valid. I immediately undertook a coaching conversation to understand this position, and behind it there was a lack of understanding in how the tools worked, and indeed a gap in knowledge in house, which had been filled by the consultancy, whose interest it was to sell the tool! A call to the consultancy challenging the validity and reliability of the tool unfolded another intriguing gap in knowledge. Their view was that the tool was globally applicable because it had been tested on African American, Hispanic and all the groups in the USA. However, the implementation of a tool in the USA does not make it globally applicable. Two gaps become evident: psychometric tests have become assumed by some to be a valid and reliable selection tool, and the results are generalizable to any geographic location. These 2 disturbing anecdotal findings stimulated my passion to understand more about the barriers to leadership success in different regions. Organisation Developers build and customise competencies, but what are the barriers that would unhinge an otherwise successful leader in Europe who moved to Asia? In summary there has been progression from the view that leaders have certain traits and skills, to the requirement to be contingent and apply different competencies in different situations. There has been advancement. For example Scouller in 2011 incorporated the “Personal” and “Private”, as well as “Public” layers, which takes into account self-awareness. Chhokar’s research across 62 countries has provided the biggest piece of research on Culture and Leadership. Of course there is Hofstede’s work, but the original purpose for Hofstede was to provide lessons to those going to work in another country. IBM required talent to feed its global growth that could perform effectively outside their home office. The shift in multi dimension requirements for a role, culture, function and geography is not fast enough. In my Doctorate I am going to be undertaking research that tackles this very issue. In the mean time I go back to what I learnt in my Degree and Masters, which is that validity and reliability can be improved by the utilisation of more than one selection method. Secondly the higher validity and reliability results came with the request to perform an element of the task or job at interview. Thirdly, it is better to have the input of more than one person in selection. Google for example says a decision should be able to be made after 5 interviews. The lesson I have learnt is to always question, and not to be over reliant on the tools.